Munich show is the largest show in the Europe and visited by many international dealers. 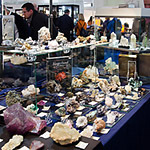 Many nice worldwide specimens were available as well as many minerals from European collectors. It is also a nice place to meet friends from all over the world. Graphite is a very important mineral, although it is not much to look at. It has a lot of uses in the world today, and it may be closer to you than you think! It is a direct opposite of its close relative, diamond. 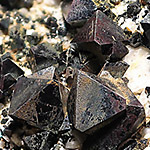 Magnetite is an iron rich mineral from the spinel group. 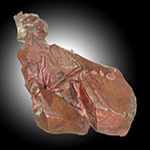 It is the most important industrial source of iron and a natural ferromagnetic substance. 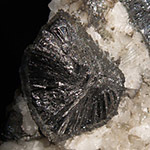 Magnetite is common, but it is a very nice and interesting mineral. The Dobsina is a small (about 5300 citizens) former mining town in eastern Slovakia. All mines are shut down. 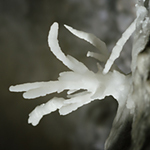 But some of the abandoned underground mines turned into awesome aragonite caves in the past decades. 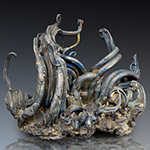 Silver is a beautiful mineral and native element. It is known as one of the precious metals, and its history dates back to ancient civilizations, where it was used in many of the ways that it still is today. Sometimes, silver is mined as native silver, but most of the time, it comes from sulfide ores. 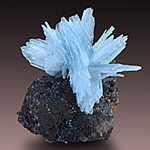 Although most mineral collectors are not attracted by talc, it is still an interesting mineral. It has set of quite unique physical properties, which create endless options for various industrial applications. Azurite is a secondary copper mineral, which forms outstanding specimens. 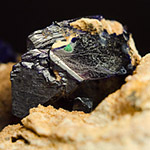 It is very popular among mineral collectors because of its beautiful shade of blue and highly sought after dark crystals, often combined with green malachite. Native copper was discovered through metal smelting in the prehistoric times and still belongs to the keystones of modern civilization. 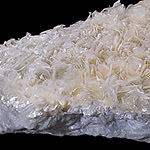 Its is also a very nice and popular mineral that is capable of forming complex and beautiful shapes. 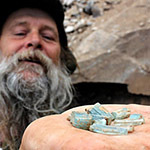 In the last few years, reality shows with prospectors and minerals became quite widespread. Despite some exaggeration, these shows still might be quite interesting and there is a lot to learn. This overview covers The Gold Rush, The Prospectors and The Ice Cold Gold.